David M. Jacobs, UO director of orchestral studies and assistant professor of conducting, will conduct the University Symphony on Sunday, Feb. 3. The concert is from 3 p.m. to 5 p.m. in Beall Hall and features Sibelius’ Symphony #2. Jacobs, in his first year at the UO, says the orchestra has been focusing this year on standard masterworks. Symphony #2 is Sibelius' most significant large-scale work for orchestra. Jean Sibelius was a Finnish composer during the Romantic period. “Playing Sibelius provides balance to the other national styles we have been studying,” Jacobs says. 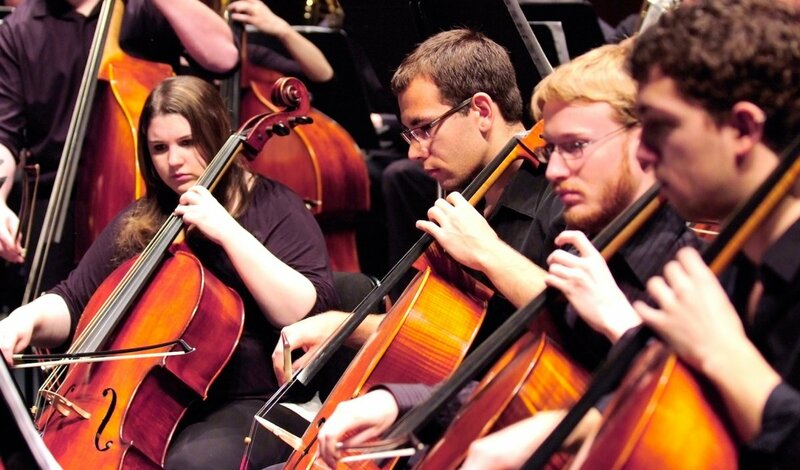 Other composers the University Symphony has focused upon this year include Tchaikovsky (Russian), Brahms and Beethoven (German), and Gershwin (American). The concert will include Verdi's "Nabucco Overture" and Mahler's "Adagietto" from Symphony #5. Tickets are $7 general admission and $5 for students and seniors. Tickets are available at the door or in advance from the UO Ticket Office, tickets.uoregon.edu or 541-346-4363.